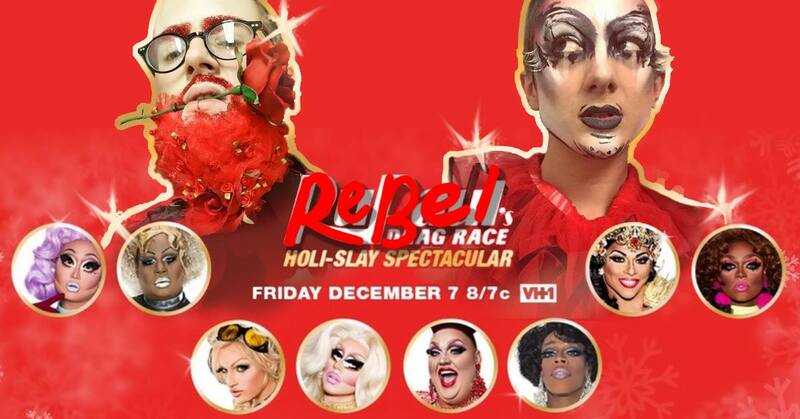 ReBel’s Drag Race: A Queer Holi-SLAY Spectacular! ALL GENDERS, START YOUR ENGINES – AND MAY THE BEST HUMAN…WIN! For the first time ever, Drag Race is getting festive with a one-episode holiday special – join hosts Mercury Divine and Arrhythmio at the Rendezvous for Seattle’s ONLY specifically non-binary/trans/queer/female-inclusive Drag Race viewing party! Watch these queens SLEIGH as they get into the holiday spirit and compete for the title of Ultimate Christmas Queen! Drag is NOT a cismales-only sport: since the very beginning of drag, trans people, queers, and AFABs of all identities have been a part of the art form and the culture. Created in response to specific transphobic/misogynist/narrow-minded comments made by a famous drag-related human (and wider perception as a whole), ReBel’s Drag Race aims to specifically include AND center those people typically left out of the Drag Race culture!